Help Santa on his Christmas journey. As Christmas is almost here, Santa begins his journey around the world to collect children’s wishes from their dreams and to deliver gifts. locations throughout the Earth (135 levels) as well as in 3 locations on the new planet, the Moon (45 levels). 50% off the subscriptions on Black Friday and the following weekend. Okenko Books is an ad free, children (4-8yo) picture books subscription service which gives you access to all illustrated stories Okenko Books publish. Every two weeks a new book is delivered directly to your phone/device. Oceanhouse Media, Inc. announced the release of Rudolph the Red-Nosed Reindeer available for the first time as a digital book for the iPad, iPhone and iPod Touch. 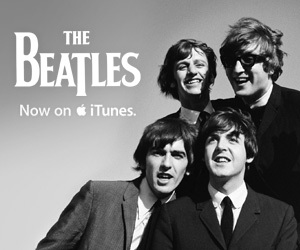 With a 14 album box set, 16 albums total, and the entire stream of Live at the Washington Coliseum, 1964, iTunes brings you The Beatles. Soundfreaq today announced the launch of Sound Platform, the company’s first product: a wireless, hi-fi speaker, developed with LA-based design firm, Boombang. Launching just in time for the holidays, the Bluetooth-enabled device is equipped out-of-the box to support multiple devices, making it the perfect accessory for the iPad, iPhone, iPod touch, Android and Blackberry. One month after the release of their newest game Rafter, the guys over at Punflay are happy to announce the launch of a contest for their flagship iPhone game. Indulge yourself with Rafter’s 31 levels of puzzle and fun and score your way to the top of the leaderboards. Rafter is a problem solving puzzle game (much like Enigmo) where you need to use your skills to draw blocks and launch them at mines. 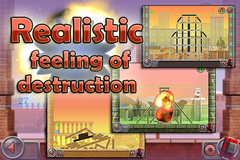 (see video presentation below) The game is priced at only $0.99 in the AppStore.